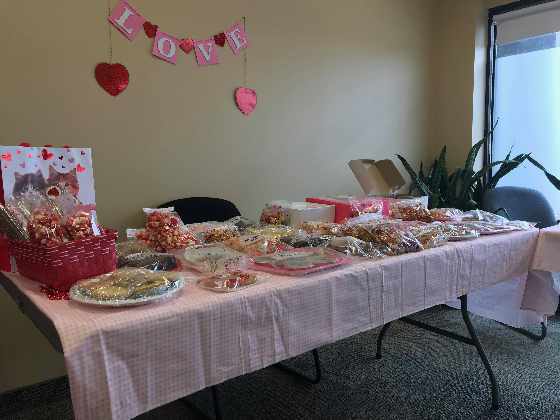 The public can head to the Oxford County Animal Rescue for their annual Valentine's Day bake sale. WOODSTOCK - The Oxford County Animal Rescue is raising money through their annual bake sale. They will be hosting their Valentine's Day bake sale and Kitty adoption day, where the community can buy a variety of baked goods and treats. Foster co-coordinator for the Animal Rescue Anna Holmes says there will be lots of treats. "We've got three different kinds of tarts, we've got lots of peanut butter, brownies. We even have some special cinnamon heart popcorn and some cherry chip fudge." Holmes adds the baked goods have been donated from throughout the community. The proceeds will go towards the Oxford County Animal Rescue. "We've got lots of goodies that are donated by volunteers and supporters of the rescue. All of the proceeds go to the vetting of the animals that are in our care." The non-for-profit organization has been in the community since 2014 and they foster cats and dogs who are in between homes. Stop by their head office for some goodies and treats from 10:00am to 2:00pm. Their office is located on 789 Dundas Street at the corner of Blandford & Dundas Street.